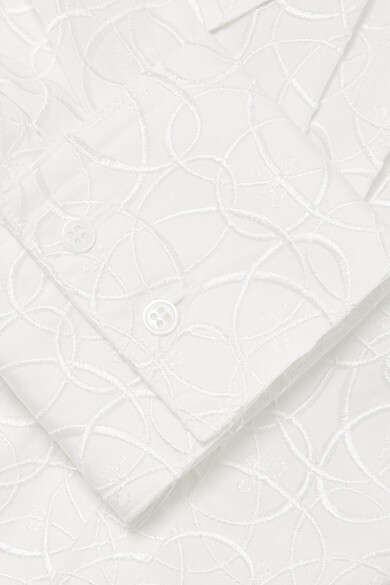 From the elegant mother-of-pearl buttons to the swirling embroidery, every aspect of this blouse has been carefully considered by Alaïa's design team - we'd expect nothing else from the utter perfectionists. 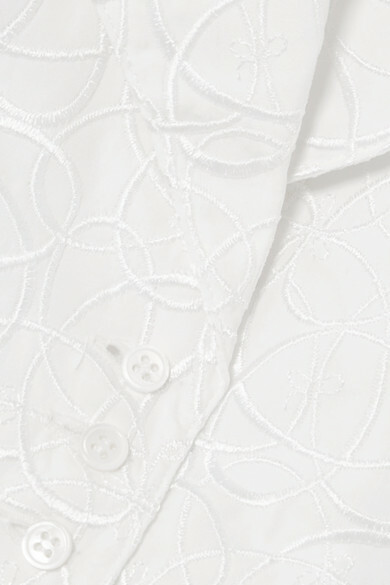 Made from cotton-poplin, it has shawl lapels which create a plunging neckline and is cut to hit just above the waist. 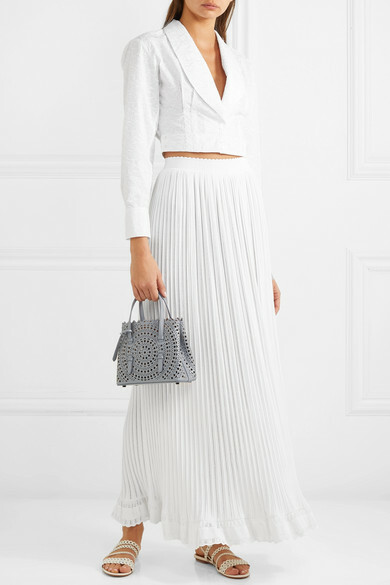 Shown here with: Alaïa Skirt, Alaïa Tote, Alaïa Sandals.